Knopf Books for Young Readers, 9780679879244, 416pp. PHILIP PULLMAN is one of the most acclaimed writers working today. 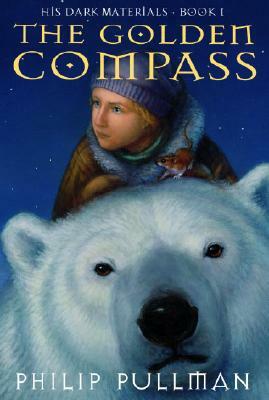 He is best known for the His Dark Materials trilogy (The Golden Compass, The Subtle Knife, The Amber Spyglass), which has been named one of the top 100 novels of all time by Newsweek and one of the all-time greatest novels by Entertainment Weekly. He has also won many distinguished prizes, including the Carnegie Medal for The Golden Compass (and the reader-voted "Carnegie of Carnegies" for the best children's book of the past seventy years); the Whitbread (now Costa) Award for The Amber Spyglass; a Booker Prize long-list nomination (The Amber Spyglass); Parents' Choice Gold Awards (The Subtle Knife and The Amber Spyglass); and the Astrid Lindgren Memorial Award, in honor of his body of work. In 2004, he was appointed a Commander of the Order of the British Empire. It has recently been announced that The Book of Dust, the much anticipated new book from Mr. Pullman, also set in the world of His Dark Materials, will be published as a major work in three parts, with the first part to arrive in October 2017. Philip Pullman is the author of many other much-lauded novels. Other volumes related to His Dark Materials: Lyra’s Oxford, Once Upon a Time in the North, and The Collectors. For younger readers: I Was a Rat! ; Count Karlstein; Two Crafty Criminals; Spring-Heeled Jack, and The Scarecrow and His Servant. For older readers: the Sally Lockhart quartet: The Ruby in the Smoke, The Shadow in the North, The Tiger in the Well, and The Tin Princess; The White Mercedes; and The Broken Bridge. Philip Pullman lives in Oxford, England. To learn more, please visit philip-pullman.com and hisdarkmaterials.com. Or follow him on Twitter at @PhilipPullman. "Arguably the best juvenile fantasy novel of the past twenty years […] If [The Subtle Knife] is as good as The Golden Compass, we'll be two thirds of the way to the completion of a modern fantasy classic." "As always, Pullman is a master at combining impeccable characterizations and seamless plotting, maintaining a crackling pace to create scene upon scene of almost unbearable tension. This glittering gem will leave readers of all ages eagerly awaiting the next installment of Lyra's adventures." "A totally involving, intricately plotted fantasy that will leave readers clamoring for the sequels."